How do I add more partners who offer different types of events (e.g. virtual or canvass)? If you want to learn to filter the events you promote from existing partners, go here. 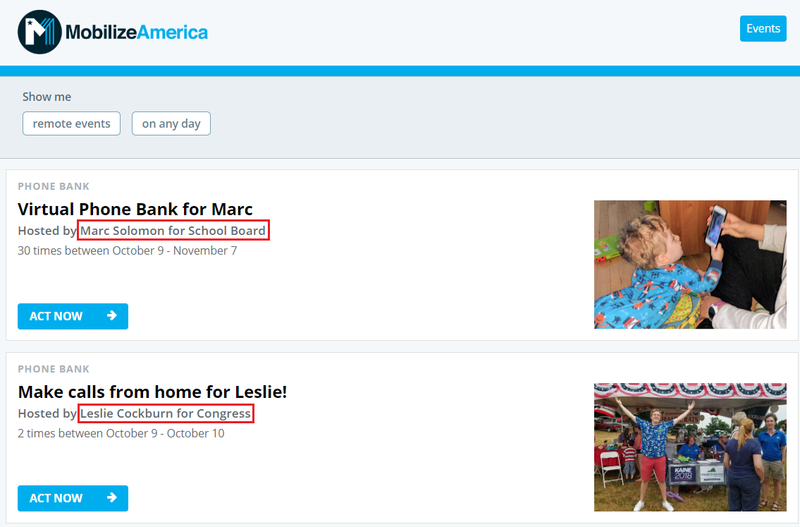 For example, if you want to start sending your volunteers to virtual actions in VA, here's how to filter our feed to find those partners. 2. Filter by event type: The feed filter will allow your to filter by certain types of events (e.g. virtual events). 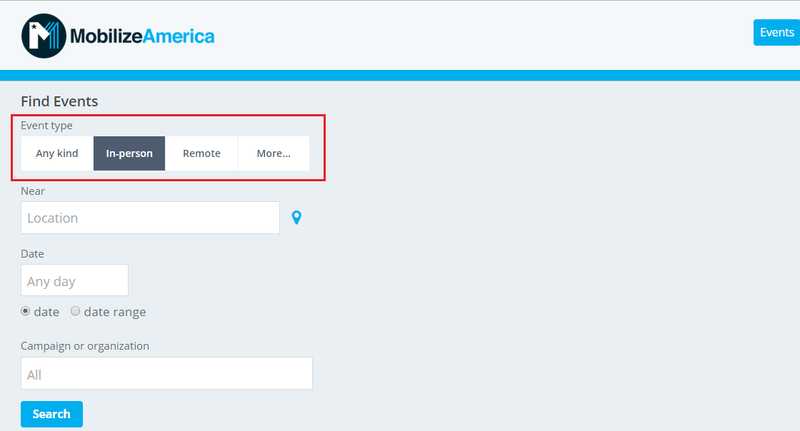 To select only virtual events, click into 'Event type' and select 'remote'. To select only a certain type of virtual event, click 'More. 3. 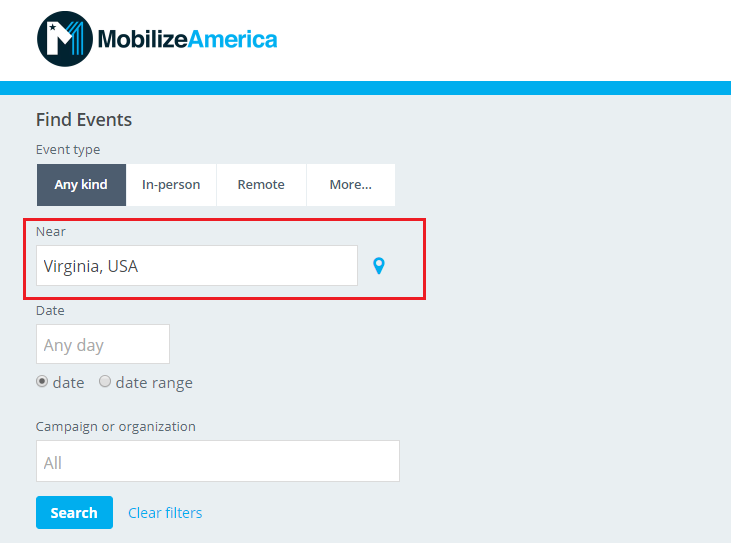 Filter by location: To narrow down your search to partners with virtual events in a certain area (e.g. state), add a location under 'Near'. You can filter by address, zip code, county, city, or state, and this will show you all events near that location. 4. Adding partners: Click 'search'. This will now show you a list of all events that meet your criteria (e.g. virtual) as well as the name of the event's host organization. Note their names. Then, go to 'Promote Organizations' on your Mobilize dashboard, hit CTRL+F to quickly search by name, and turn on promotions for that org. Their events will now show up in your feed.